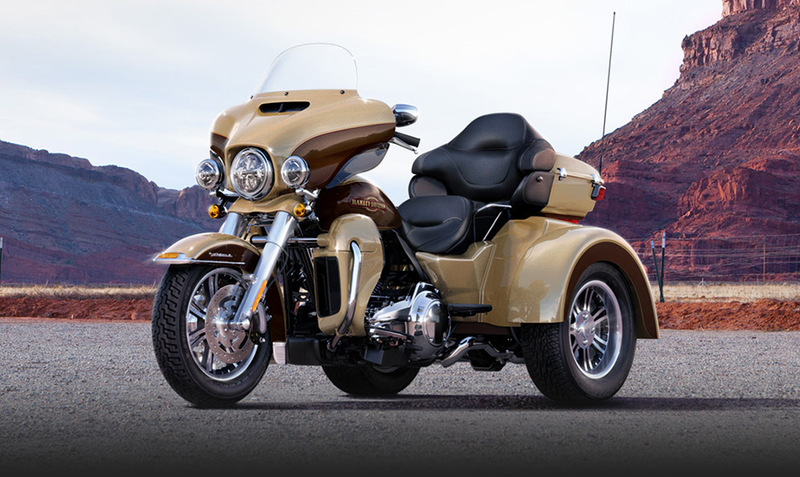 Harley-Davidson Motor Company is recalling certain model year 2014 Tri Glide Ultra Classic (FLHTCUTG), CVO Breakout (FXSBE), and CVO Softail Deluxe (FLSTNSE) motorcycles manufactured May 3, 2013, through October 14, 2013. The affected motorcycles may have been built with an incorrect clutch release plate. It's believed 2,886 motorcycles are affected. An incorrect clutch release plate may prevent the clutch from disengaging. If the clutch does not disengage, the rider may have difficulty slowing or stopping the motorcycle, increasing the risk of a crash. Harley-Davidson will notify owners, and dealers will inspect the clutch release plate. If the clutch is incorrect, it will be replaced free of charge. The recall began in October 2013. Harley-Davidson's recall number is 0154. Owners may contact Harley-Davidson at 1-800-258-2464. Some of these motorcycles may have been assembled with an incorrect clutch release plate, PIN 37903-90. This issue may create a condition in which the clutch may lose the ability to generate enough lift to disengage. If the clutch does not disengage as intended, the rider may have difficulty slowing or stopping the motorcycle, which could cause a crash and potential injury or death of the rider and/or passenger. Harley-Davidson has initiated this recall to correct this condition in affected motorcycles. During the week of 9/24/2013, while investigating warranty claims related to clutch lift as part of an ongoing investigation, the Harley-Davidson Recall Investigation Committee (RIC) identified a warranty claim suggesting that the wrong clutch release plate was installed in the clutch assembly. The RIC received first notice of this issue on 9/18/13 by a phone call from the Advanced Manufacturing group within Harley-Davidson. As a result of this notice, the RIC initiated an investigation and analysis of this issue. Part of that analysis included visiting dealers who reported issues related to clutch lift. Additionally, parts replaced as a result of warranty claims were sent to the supplier for testing beginning on 9/18/13. A search of existing warranty data on 9/24/13 disclosed 27 claims related to clutch functionality issues, with no reported crashes, injuries or fatalities related to this issue. A search of existing customer contact data on 9/24/13 showed 59 contacts related to clutch functionality issues, including two reported crashes, with one involving injuries. Six of the 59 contacts had corresponding warranty claims. In conjunction with the RIC analysis, a team was assembled to determine root cause by visiting dealers, analyzing returned warranty parts and testing both current production parts and warranty returned parts. Based on this root cause analysis, we identified two potential causes: air ingestion into the hydraulic system and/or assembling the wrong clutch release plate. Another search of existing warranty data on 10/15/13 revealed 281 claims, with one reported crash, no injuries, and no fatalities. Another search of existing customer contact data conducted on 10/15/13 revealed 171 contacts, of which there were 8 crashes with 3 injuries reported. 101 of these 171 contacts were identified within warranty claims. On 10/16/13, upon review of the results of the RIC's investigation and analysis, Harley-Davidson's executive management made its determination that a safety related defect exists in the subject population and declared a recall to remedy the issue.